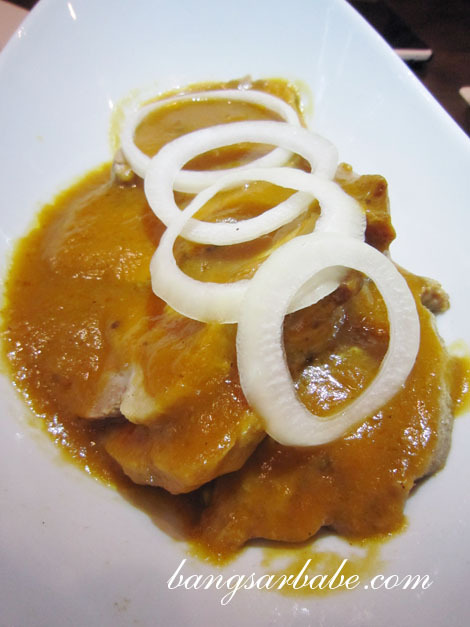 At Brotzeit, I often order the same dishes – pork knuckle, sausage platter and pork ribs, with a pint or two of Affensaft. While I like sticking to my favourites, there are many who cannot eat the same thing over and over again. 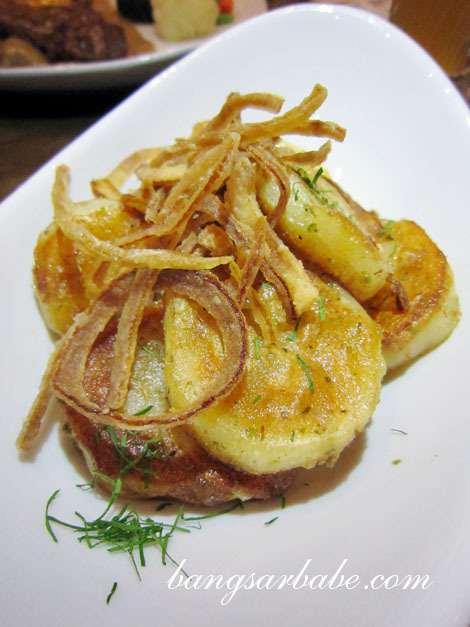 With that in mind, Brotzeit came up with a few new dishes to cater to those who want something different every now and then. 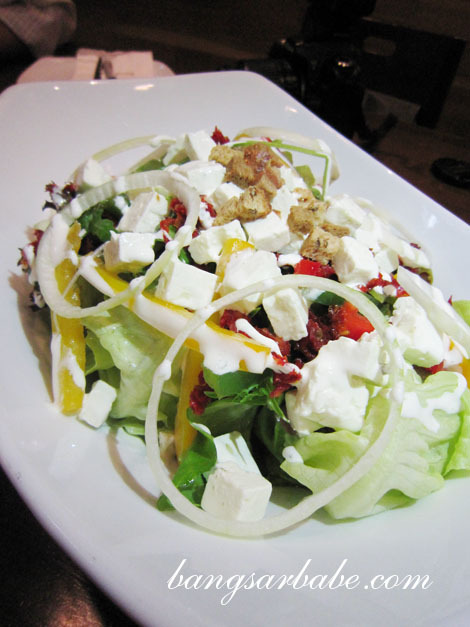 Feta Salad (RM38 – regular, RM23 – small) was a simple salad of red bell peppers, semi dried tomatoes, onions, olive, garlic, croutons, sour cream and garden greens. Light, yet full of complementing textures and flavours. I reckon this was created to suit those who want a healthier meal. The Spinach Pizza (RM30) was also a healthier alternative to Brotzeit’s famous spicy bacon pizza. Flavours were bold and each bite was rich and hearty. 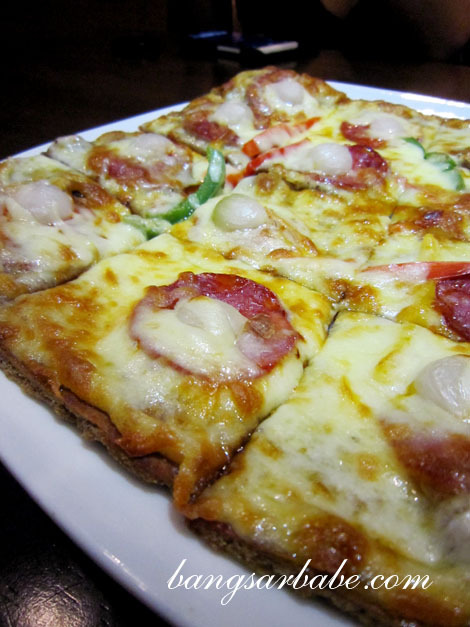 If you’re counting calories but still want to enjoy a slice of two of pizza, this is a good bet. Me? I would still go for the spicy bacon pizza! 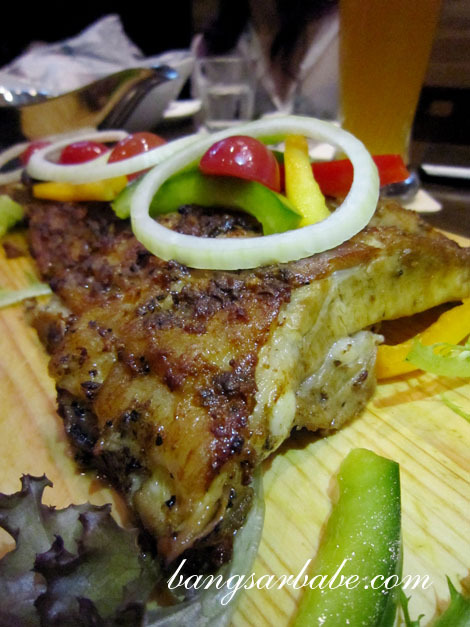 We also sampled the Bavarian Style Honey Pork Ribs (RM55 – half, RM89 – full) where the pork ribs were marinated with the chef’s secret spices and cooked till tender. Between the original and honey, I liked the latter for it had a caramelized exterior. 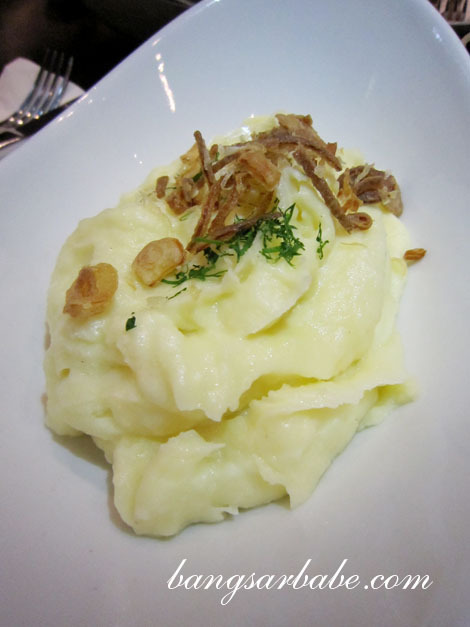 This comes with a generous portion of sauerkraut and potato salad/mash potato. Good stuff! Another new creation is the Pork Roast (RM38) a pretty platter of roasted pork collar slices in creamy gravy with bacon wrapped beans and napkin dumplings. I enjoyed this better than the pork ribs, for the collar slices were meltingly tender and well flavoured by the robust gravy. Also, the bacon wrapped beans were moreish. I used the dumpling to mop up the remaining gravy in the bowl. 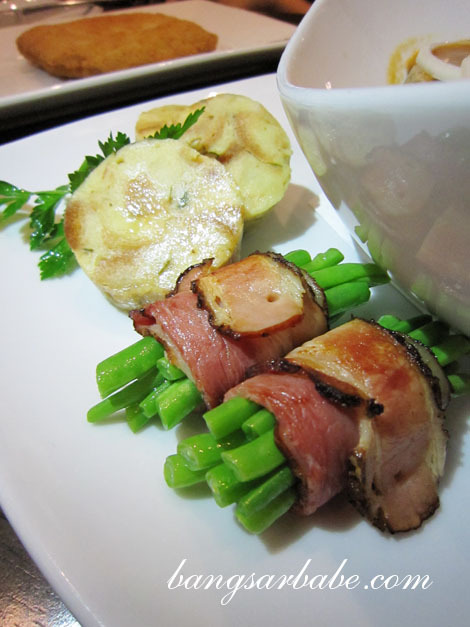 Move aside chicken cordon bleu…for Brotzeit’s pork cordon bleu (RM38) is much tastier! This breaded escalope of pork comes stuffed with leg ham and melted cheese – every mouthful was savoury, gooey, juicy and crusty. Some aioli or Knoblauch sauce would be perfect with this. My least favourite was the Striploin Steak (RM52), for it was a tad overcooked. Also, it was too lean for my liking. 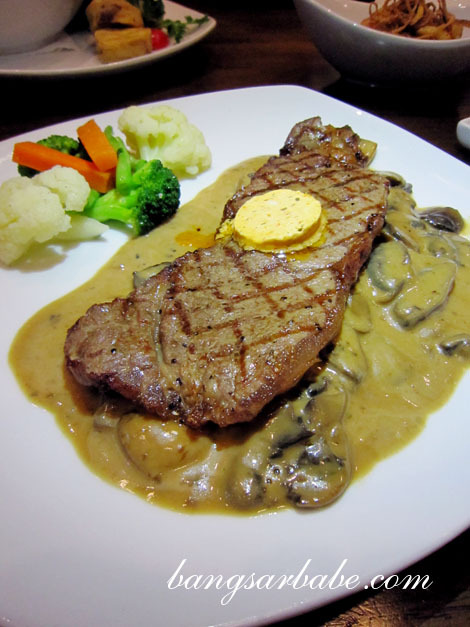 That said, the mushroom and peppercorn sauce was adequately thick and rich, which gave the steak an added flavour. 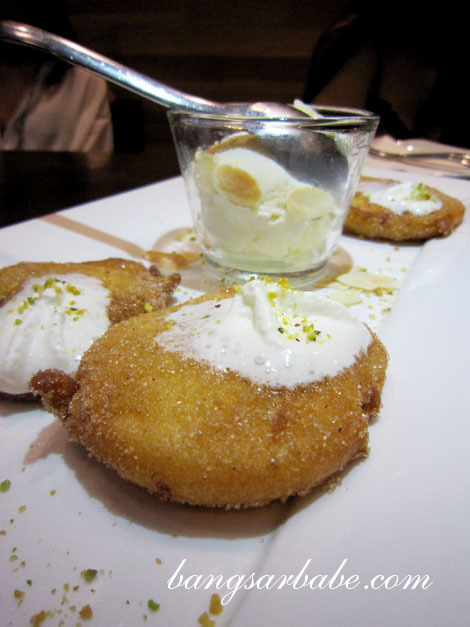 For dessert, I sampled the Apple Fritters and White Chocolate Lava Cake (RM20). 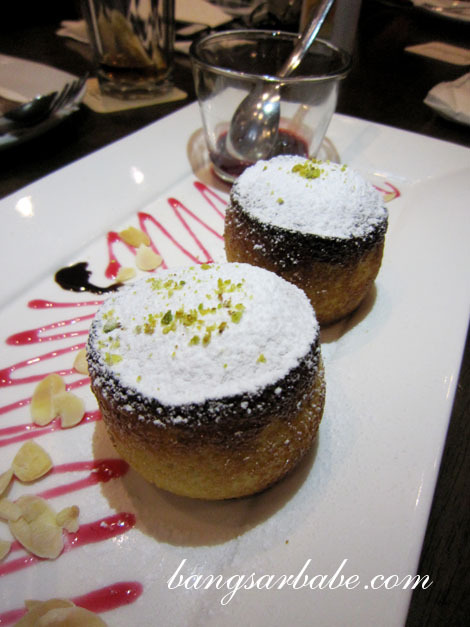 I liked the lava cake better; the exterior – dusted with icing sugar – was crisp and gave way to a rich, molten centre. The apple fritters were a simple way to end a meal. Rif liked this one. 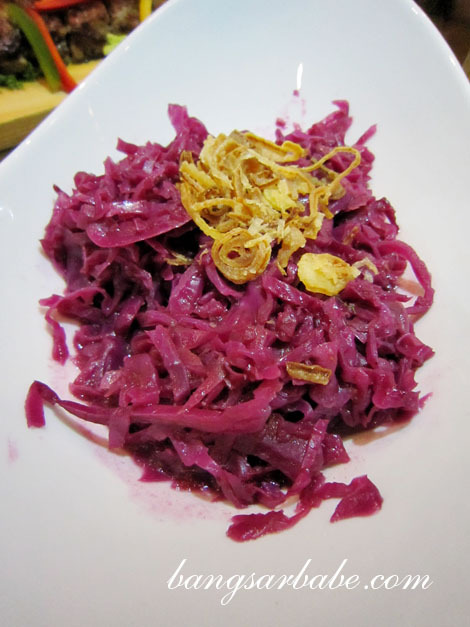 All in, I thought these new dishes make a good addition to Brotzeit’s current menu. While some didn’t rock my boat, I would highly recommend the pork roast, corden bleu and lava cake if you want a change. Verdict: Try the pork roast and pork cordon bleu. Interesting…how was it compared to the wedges? 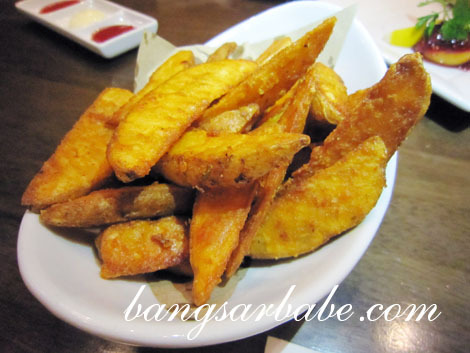 i have not been to brozeit.. and I read a lot of review about the food..